I'm not quite sure what happened, but this has turned out to be the busiest summer of my career thus far. No complaints, it's been tremendously rewarding-- but it's left little time for blogging. I've been leaning on Instagram heavily as it's really the fastest, simplest social media tool for me right now, but I do miss sharing larger-format photos in this dear space. Next month my season will finally be "winding down," but for now I have to keep going full-spead ahead. I will try to carve out some time to share some of the beautiful projects I've been working on-- I still have many weddings and events from LAST summer that I've yet to post! After two weeks of the most intense heat-wave I've ever experienced in Los Angeles, this morning dawned cool and crisp, with the slightest hint of the promise of autumn in the air. I'm excited for some gorgeous autumny events in the weeks to come, but in the meantime I'll leave you with a taste of summer- dahlias and roses galore! 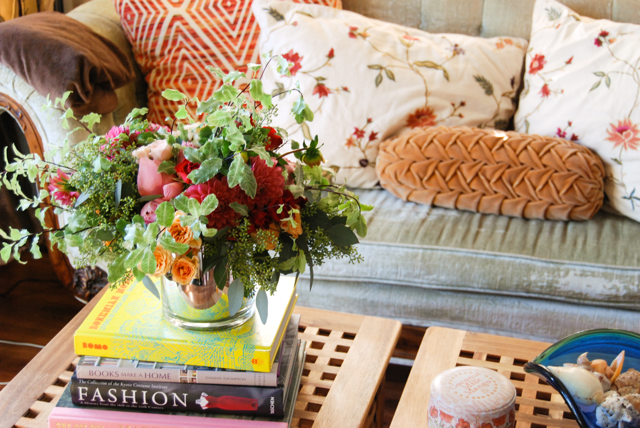 My living room always looks best when it's full of fresh flowers! 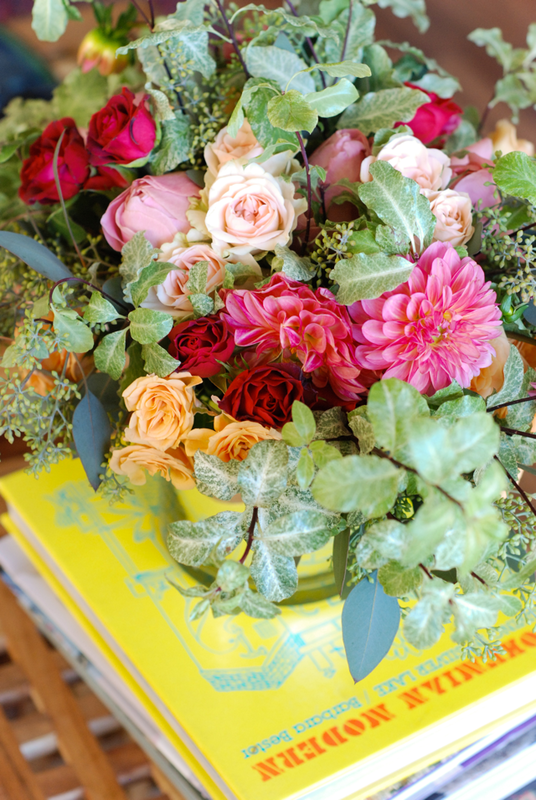 I don't know about you, but for me, fresh flowers on a Monday make the week ahead look SO much better! I'm also working hard on figuring out the details for my first floral design & styling workshop, if you're interested in getting information on that as it becomes available, email us to be added to the list! 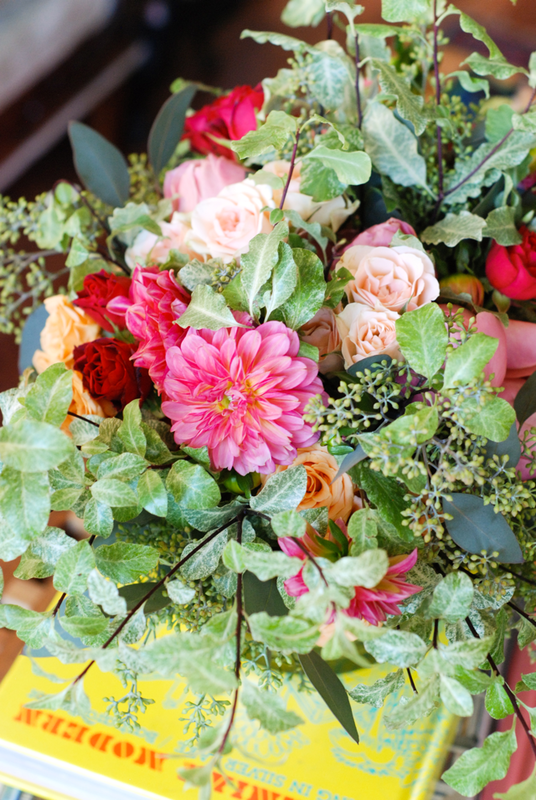 Images | Styling | Floral Design by Lauryl Lane.